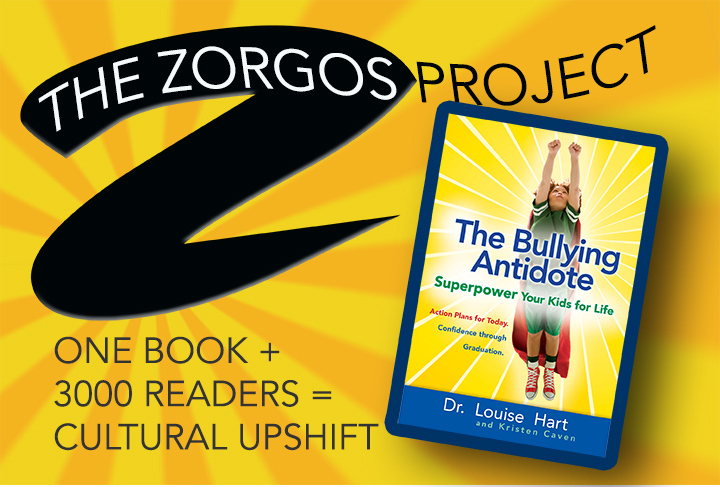 A Masai greeting, a cleft palate, the education of girls, and global warming … What’s the bullying connection? Two stories of empowerment. In Karl Schonborn’s touching novel, Cleft Heart—chasing normal, a young man born with a cleft palate tries to figure out his place in the world, confronting prejudice, bullying, and violence. Bullied for unintelligible speech, he grows up to become a star debater at Yale. 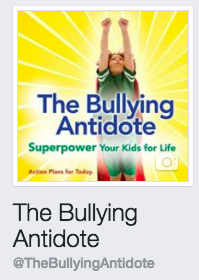 Karl, who blogs about the connection between bullying and violent crime, will be publishing excerpts from The Bullying Antidote‘s first chapter this fall. The chapter, “All the Children Are Well,” uses a Masai saying as a lens to explore our cultural problems. Sadly, Masai children are not all well, either. Girls are circumcised between 11 and 13, and forced into marriage with men of any age and become mothers when they are still children. Fortunately, their situation is improving as more girls become educated. (And did you know education of girls and women is one of the top three things we can do worldwide to reverse Climate Change?). Click here to support the Masai Girl’s Education Fund. You can read his blog series here. Have you seen Ikea’s “Bully a Plant” experiment? Try it yourself with your children or students with this great lesson plan and see what you learn. “Bully a plant”, a live experiment with two IKEA plants and with thousands of children, was held to help to raise awareness around Anti-Bullying Day on May4th in the Middle East. Both plants were treated strictly the same: with the same amount water. Exposed with of sunlight, water and fertiliser. The only difference being, we said words of criticism to one plant, and words of encouragement to the other, for a span of 30 days. By the end of the experiment, the impressive results spoke for themselves. What would happen if you bullied a plant for 30 days straight? First Lady Melania Trump recently addressed the United Nations about the problems of cyberbullying. After eight months of intolerant and aggressive actions by her husband, not to mention a constant stream of inflammatory bully-victim rhetoric on Twitter, the irony of her focus is as flabbergasting as her speech is inspiring. In her speech, she discusses ethics, moral imperatives, and civic engagement, plus teaching children empathy.“Our choices on how we raise and educate our children will in fact provide the blue print for the next generation.” Her cry to connect parents was moving. Mrs. Trump, we applaud your words and good intentions. They are true no matter what your husband does. We may have Melania to thank for the fact Trump has not removed https://www.stopbullying.gov/, the website created by the Obama administration—which, for readers of this blog, has cyberbullying resources on the front page. For all her interest in #stopchildhoodbullying, Mrs. Trump is married to someone who was a childhood bully, an aggressive boy raised by an autocrat. Hopefully he will listen to her speech about the Golden Rule. It might be new to him. Acclaimed novelist Julianna Baggott wrote a simple Facebook post, dedicating her “No Trump Vote” to women who feel threatened. Within days, it had been shared over 1100 times. Read it here. The act of writing the dedication felt hopeful, and it seemed to have struck a chord. So Julianna and her husband David Scott decided to invite others to join her. Add your story to the Dedicate Your No-Trump Vote. And read powerful essays by other acclaimed writers such as Pam Houston, Jodi Picoult, and more. You can use the hashtag #DedicateYourNoTrumpVote or share the link to the web site — http://www.DedicateYourNoTrumpVote — if you’d like to spread the word. Donald Trump is doing a lot of speaking these days. It has influenced children, and his hate speech is creating back-to-school woes. What if he told the truth instead? He could quote The Bullying Antidote and share wisdom instead. We posted these memes on our Facebook Page in August.